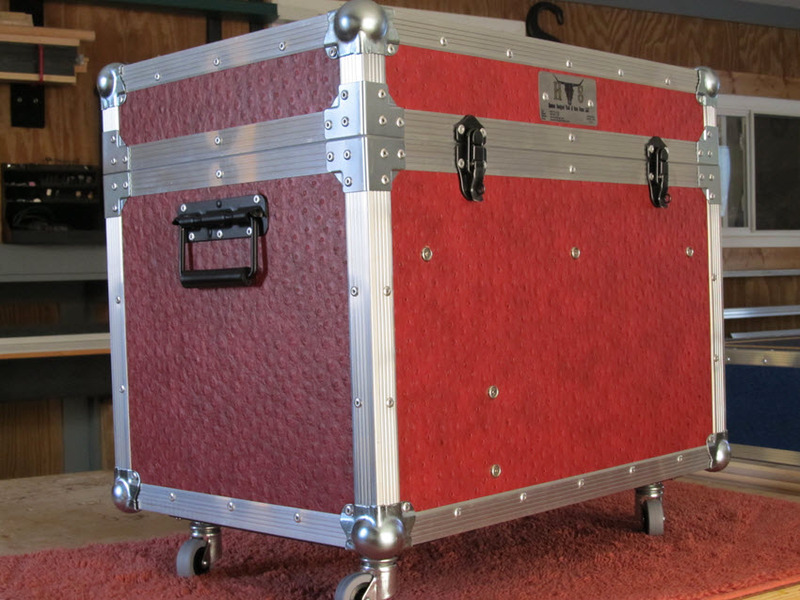 When you need a tack box a little smaller, we’ve got it. 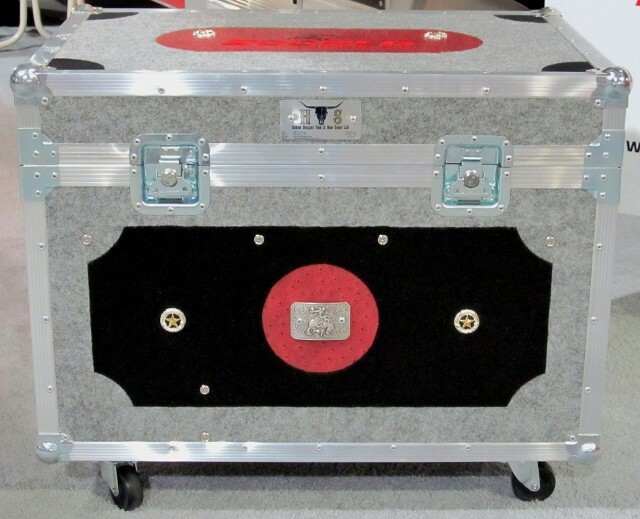 The box is available in all three of our exterior coverings. The interior of this box is large enough to allow you to use your creative ability and design it to fit your personal needs. 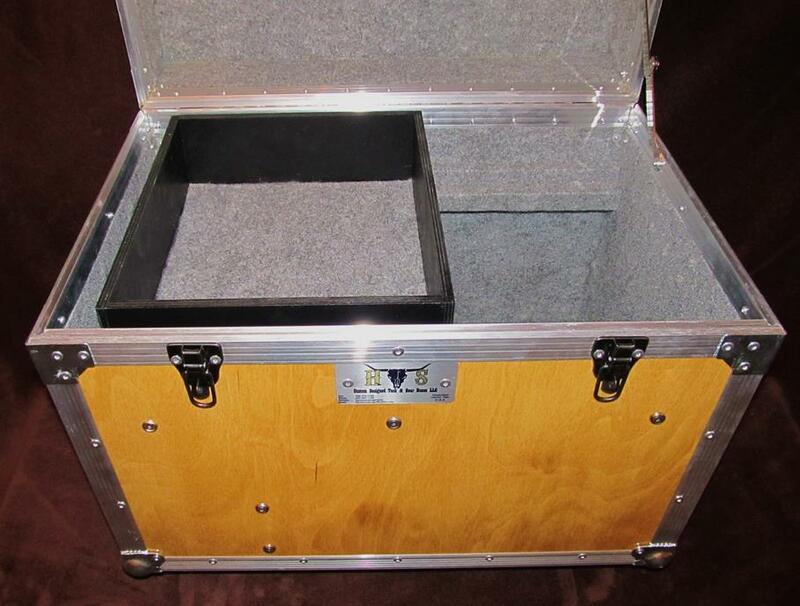 We can design the interior to be used as a file type cabinet to carry all of your important paper work. 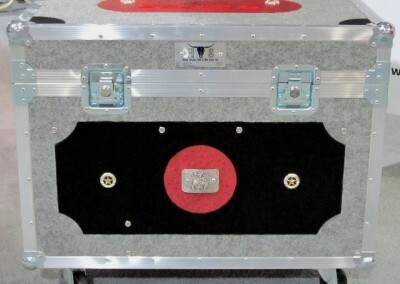 Adding compartments or dividers is always an option. 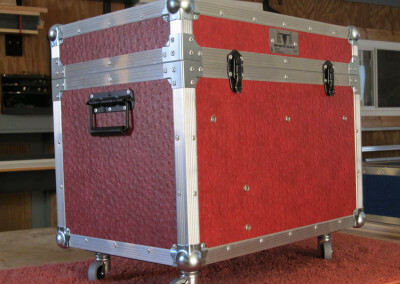 Being light weight and easy to carry makes this box a must have. Remember, you always have the option to add wheels for easier maneuverability. 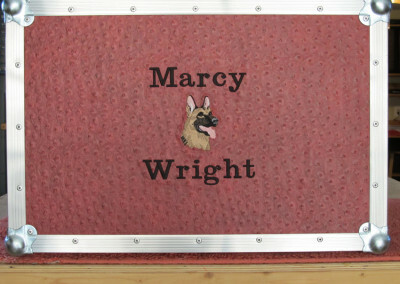 This particular box not only attracts our equine friends, but has been growing in popularity by dog and cat enthusiasts. 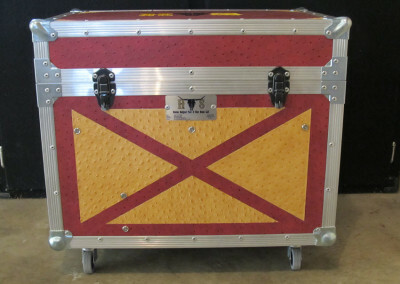 Photo is of a Traditional Small Tack Box with a new color for 2011 Red Roan (cabernet). 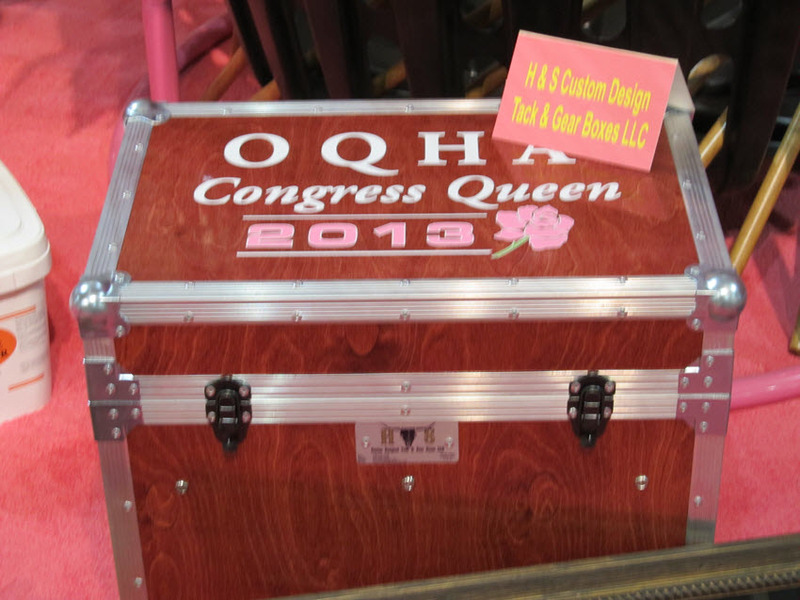 This style box was used by the Ohio Quarter Horse Association for their 2012 Awards Ceremony. 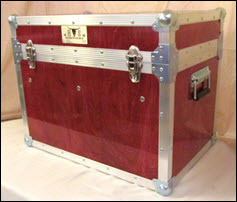 Stained with 5 coats of polyurethane applied makes this box not only durable but elegant. 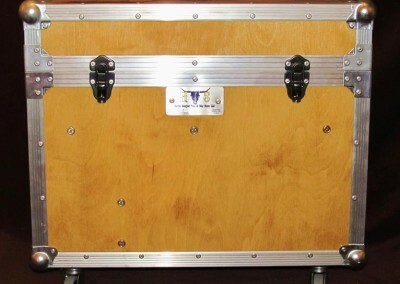 Our Traditional Tack Box is new for 2011. 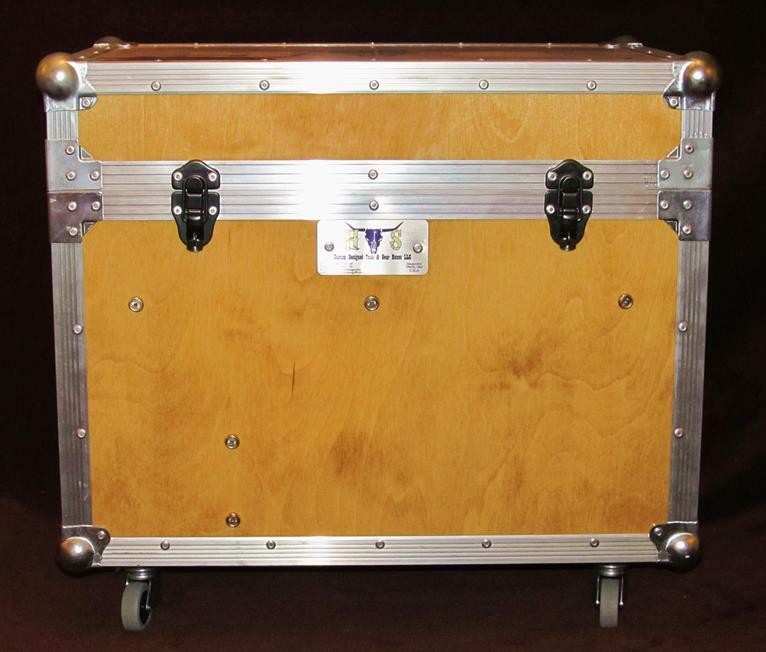 We decided to bring back the stained, semi gloss exterior coating on our most popular style of tack boxes. There are 3 colors to choose from. Palomino (medium pine), Chestnut (darker maple), and Bay (walnut). After staining, 5 coats of semi gloss polyurethane is applied. 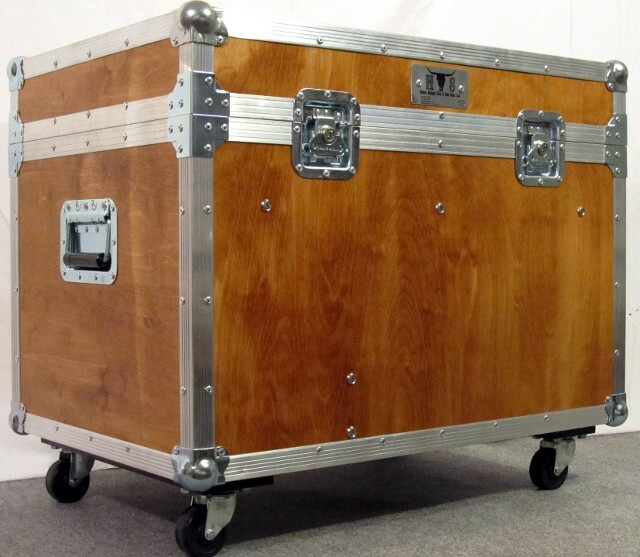 When we say Ultimate Tack Box that is exactly what we mean. 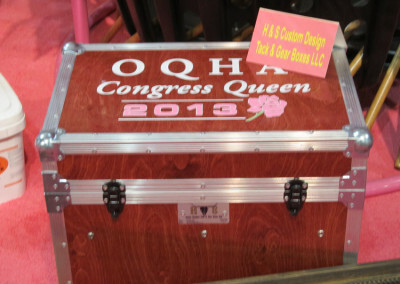 The exterior of this box is like no other. 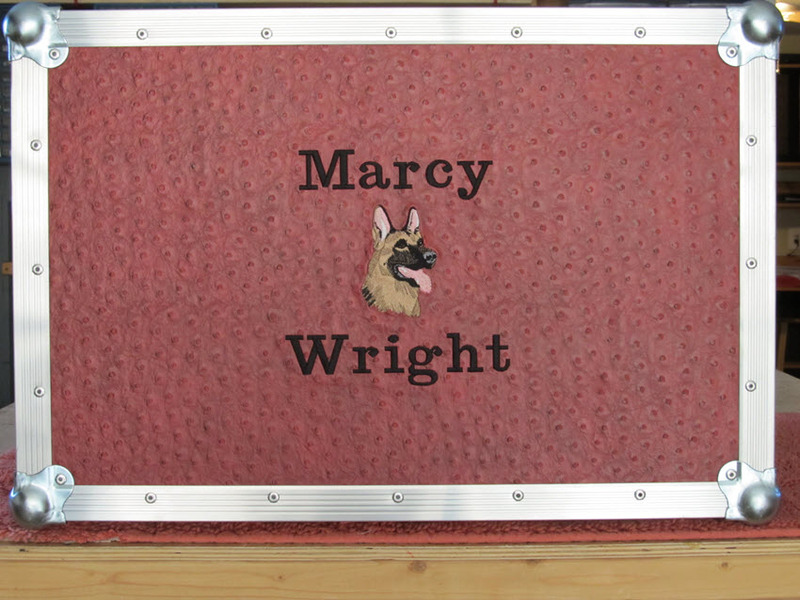 Using the highest quality faux leather, you can design your exterior using ostrich, crocodile, or even snake skin. 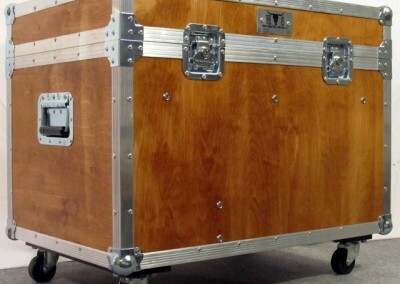 We have multiple selections of skin textures and colors available. 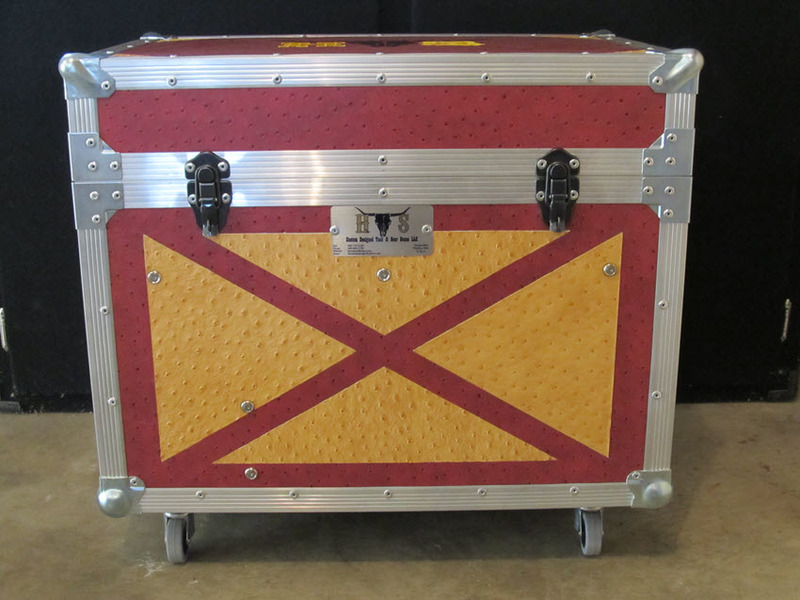 Check out some of our unique selection of leather skins on our exterior coverings page. “Product Design / Construction” page has detailed descriptions of all exterior coverings.